Huge price reduction! Best contemporary condo buy in DTSP! 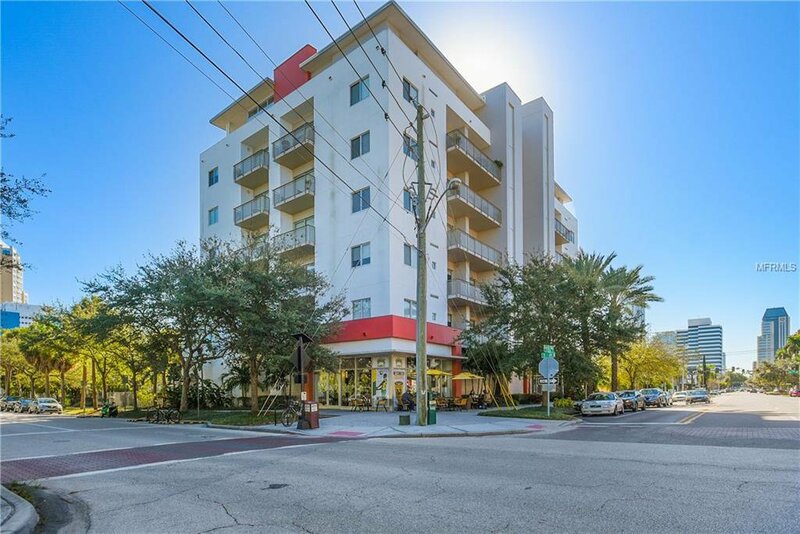 475 is a mid-century Florida modern 22 unit boutique condominium building designed by award winning Clemmons Architecture located in the heart of downtown St. Petersburg. Walking distance to waterfront parks, museums, restaurants, galleries and shopping. 475 offers environmentally responsible design for the best in Urban living and state-of-the-art technology. Residence C with 2 bedrooms, family room, study/den and 2.5 baths , 10` ceilings with expansive glass walls plus 2 spacious terraces , imported European cabinets, Bamboo flooring, imported Italian porcelain tile and newer stainless steel appliances including a gas cook top, secured access entry and garage with lift for 2 vehicles. Additionally, this unit includes: custom closet systems and a Murphy bed/desk system in the den. Listing courtesy of FORESITE RESIDENTIAL R.E.. Selling Office: COLDWELL BANKER RESIDENTIAL.